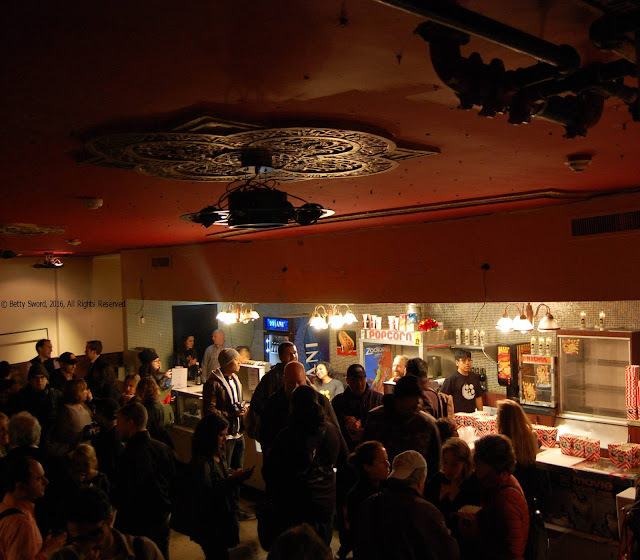 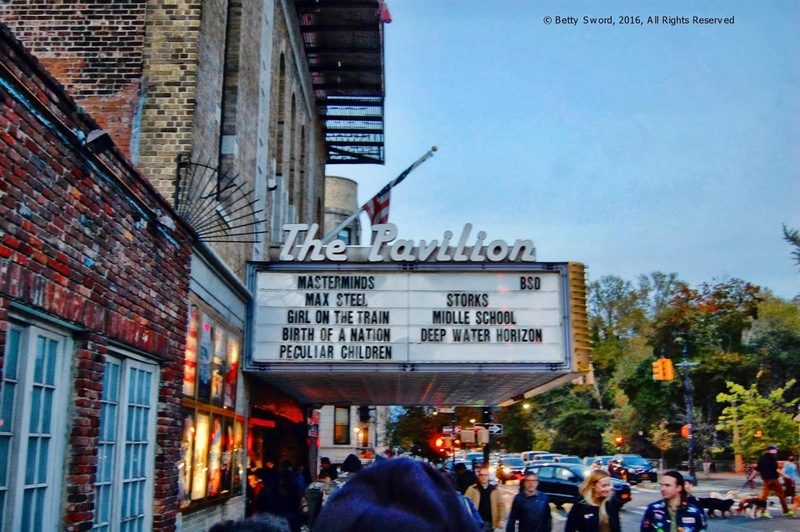 Brooklyn Theatre Index: "Pour One Out for the Pavilion"
"Pour One Out for the Pavilion"
On November 1, 2016,from 6 p.m. to 8 p.m, Nitehawk Cinemas, the new owner of Park Slope's Pavilion Theater tossed a goodbye party for the old space before closing it for refurbishment. The general public was invited to "explore the space" and "peek behind the curtains." 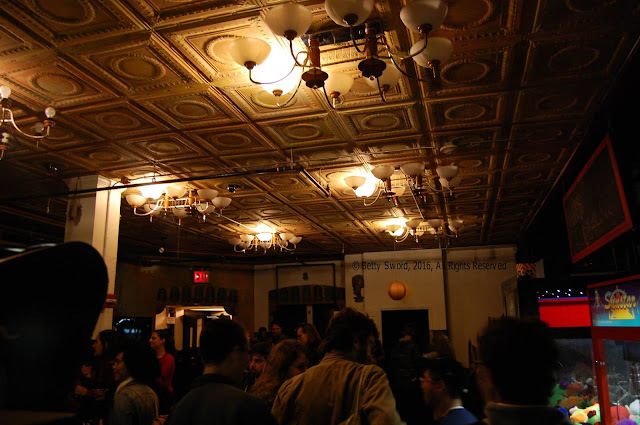 The upstairs lounge/game room with traces of the original ornamentation. 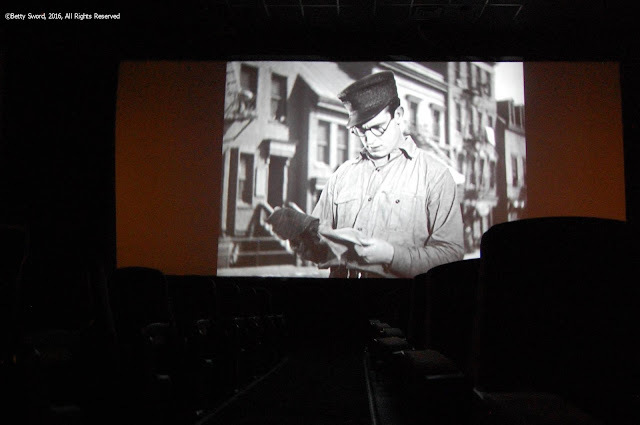 Just off the lounge, the largest theatre was showing Speedy with Harold Lloyd. 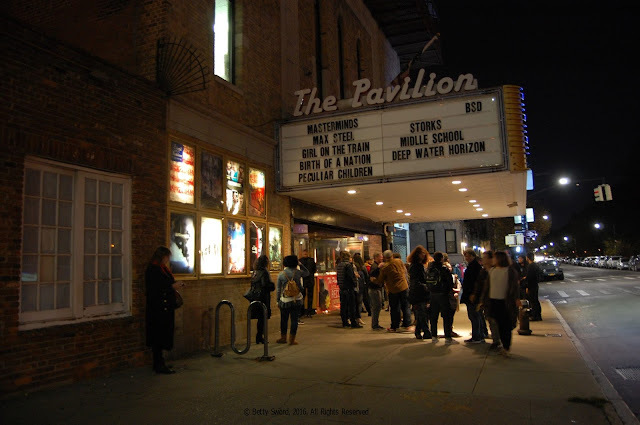 One last view of the Pavilion.